Major John Fidler was awarded the Bronze Star Medal conferred by the President of the United States of America in recognition of meritorious, gallant and distinguished service during coalition operations in Afghanistan. 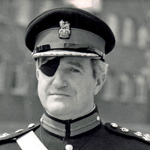 Major Tristan Harris was appointed M.B.E. (Military Division) in recognition of gallant and distinguished service in Afghanistan during the period 1st October 2008 to 31st March 2009 . 30 June 2010 promoted Lieutenant Colonel . Marine Daniel Holder, RM Reserve, was awarded the Bronze Star with Combat 'V' decoration bestowed by the President of the United States of America in recognition of meritorious, gallant and distinguished services during coalition operations in Iraq. 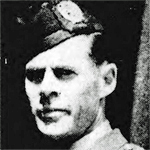 Private Peter Paul Loraine, Essex Regiment, was awarded the M.M., announced in London Gazettes on 12 August 1941, in recognition of distinguished services in the Field . 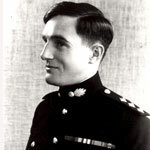 23 March 1941 Private Paul Peter Loraine from the Essex Regiment is commissioned as Second Lieutenant into the General List, service no. 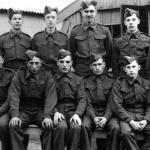 183050, (without army pay and allowances). .
10 August 1941 Second Lt. P.P. Loraine receives pay and allowances . Lieutenant Colonel Richard Lovelock was awarded the Bronze Star conferred by the President of the United States of America in recognition of gallant and distinguished services during coalition operations in Iraq. London Gazette Supp. 58633, page 3619 (7 March 2008). 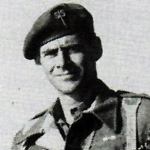 Sergeant Sidney Moon, 41 Independent Commando RM, was awarded the Bronze Star with Combat 'V' decoration bestowed by the President of the United States of America, for gallant and distinguished services during operations in the Korean war.